I heard it was the 5th anniversary of the introduction of the iPhone, which, first of all, just freaked me out, because how could it have been five years already! But, once I was over that, I realized I have a record of my thoughts and observations back them in the form of this blog. So, I went back and weaved together the following based on my observations in and around that year on the topic of the iPhone. Read at your own peril. Accessories not included. Well, at least not yet, anyhow. First, as I think I’ve explained in the past, I’ve been burned too many times on early adoption. The only early adopting I’ll be doing moving forward is for small canine creatures I keep as pets. Second, I just got my Blackberry Pearl. It seems to do most everything I need it to do, for now. Everything except allow me to successfully browse the Internets. It used to do that, too, until the IBM internal software installation corrupted the browser. They tell me I can fix it by wiping the Blackberry hard drive and starting from scratch. Let me get this straight: I bought a Blackberry so I could check my corporate email and calendar (which I can successfully still do) and to surf the Internet. But in order to successfully surf the Internet, I have to wipe the Blackberry hard drive and reinstall from scratch, in the process giving up my ability to successfully check my corporate email and calendar? And this is supposed to be productivity enhancement??? Three, the iPhone costs in the neighborhood of $600. My Blackberry Pearl cost me $99. I can think of another $501 reasons I’ won’t be waiting for a new iPhone to ring. Four, I don’t like grovelling or begging, nor do I like sleeping overnight on sidewalks outside the Cingular store, not for concert tickets and certainly not for a new cell phone. When I bought my Pearl, I called ahead, had ’em charge the Pearl in advance of my getting to the store, and by the time I arrived, simply did a quick run through and check out. I liked the Cingular retail people veddy much. On June 29th, I will be staying as far away from the Cingular Web site and retail stores as is humanly possible. The core Appleites (pun intended) will be out en masse, they will be single minded of purpose, and they will have great anxiety over whether or not they’ll be one of the lucky ones to win the iPhone lottery. I will stay as far away from them and their mob as is humanly possible. That is, unless they are willing to give me a personal tour of their new iPhone, in which case I’ll be happy to oblige their momentary lapse of reason. Me, I’m still trying to recuperate from my U.S Open anxiety, but the rest of the blogosphere is all Apple iPhone talk all the time, apparently now eight hours at a burst. The latest headline: iPhone is expected to deliver up to eight hours of talk time. That’s a big deal, at least in terms of expectation setting, because there’s been tremendous criticism about the built-in battery that a user couldn’t replace with an already charged backup. It also helps if you got yourself a long-winded teenager stuck at the mall…be sure to upgrade that ATT plan! Me, I hope never to have to abuse my Blackberry Pearl with an 8-hour conversation, but then again, nobody really wants to talk to me, and I can always buy a backup battery, so this isn’t an issue pour moi. Could there be a Metropolitan Opera version waiting in the wings, complete with Bill Gates starring as the Devil himself? Wait a minute, this oughta be a Pixar/Disney film, NC17 edition. Oh well. You’ll just have to head over to New York mag online for the current installment. Rumors abound of Apple employees publicly flouting units from the first manufacturing run, and I have no doubt the lines will start forming at the AT&T stores for we plebes sometime today. You can get your first reality check and low, lowdown on the iPhone around 6 P.M. Pacific Standard Time this evening, which is when Walt Mossberg’s and David Pogue’s first reviews are expected to strike. Well, uh, yeah. There’s no friggin’ keyboard on the thing (well, not the keyboard as we typically have known it)! That’s like saying there are steering difficulties on a Lamborghini with no steering wheel (and on Highway 101, I’m certainly beginning to wonder if a steering wheel is really even necessary). This is a whole new computing paradigm, people, and, it’s from Apple: You have to will the thing to do what you want. It’s all about the human mind telepathic connection interface! Don’t you get it??!! First off, this post is NOT being written while waiting in line at an Apple retail outlet, an AT&T store, or elsewhere. Second, thank Heavens, I was rescued from out of the heart of Silicon Valley, where iPhone fever has reached new heights (remember when people waited in line for Windows95? ), and safely back in Austin just in time for the flooding to recede. But clearly, I’m in the minority. Supergeek blogger Robert Scoble is waiting in line with all his other geek friends (see the pics here….wait a minute, doesn’t Scoble qualify as Mr. Supergeek Celebrity to get a free iPhone in advance?). Kevin Rose and the Diggnation crowd were podcasting in line. Just in case you wanted to read about or listen or watch what it’s like to wait in line to get an iPhone. I know I was wondering. Which makes me wonder something else: Maybe waiting in line for the latest geek gadget is the new chic. Pulling an old Coleman sleeping bag out of the closet and investing in a solar battery generator to keep the G4 crowd in power, maybe this is the thing, and the iPhone is just part of the overall package, almost a mere afterthought to the status reserved for those who waited. I wait, therefore I am. That sense of Burning Man iPhone collegiality is the only thing that explains this phenomenon. Because here’s the deal: The thing goes on sale online at the very same moment it can be bought in the retail outlets and, guess what? Regardless, it has to be activated online through the iTunes store to get the service up and running. Until such time, you’ve got a really pretty Apple artifact. But who’s to argue with reason. I wish them all well and the very best of luck. Me, I’ll be sitting in my nice air-conditioned condo, doing some work, maybe throwing on a little AppleTV in the background. On second thought, maybe I’ll go out and join ’em. Not to get an iPhone, mind you. Just to hang out with the geeks where I belong. Looking back on 2007, there’s but no question in my mind that Apple’s iPhone dominated much of the tech conversation. I opted for a $99 Blackberry Pearl instead (partially because of its form factor, partially because it’s what allows me access to needed IBM resources like email and calendaring), and it’s done me just fine — especially considering it was about 5X cheaper than the iPhone. But, the iPhone cultural phenomenon and technology footprint couldn’t be escaped, nor questioned. I was at the Apple campus in June visiting with a friend, just before the first iPhones went on sell, and I didn’t see a single iPhone unit while on the Apple campus (allegedly only top execs had them prior to the launch), they were so tightly held. No big surprise, considering Apple’s tight grip and embargo on its launches. But the phenomena that was the pending iPhone couldn’t be constrained. Months prior to the launch, Google and other search engines were inundated with search inquiries about the iPhone…blogs were abuzz about the product features…podcasts explained its virtues…the mass media mass brainwashed the masses about its planet-saving capabilities. For weeks after, the halo of the afterlaunch melted into the tech landscape, complete with new tech lore about being the first in line, or waiting in line with one’s Apple brethren, or etc ad nauseum ad infinitum. When was the last time you bragged about waiting in line? I succumbed to the hype myself, long enough to go into the store and touch an iPhone firsthand. It was all I could do to leave the store without buying one. But then I came back to my senses and started thinking logically about the problems that an iPhone would or would not solve for me personally (what a concept! Purchase a product only because it actually solves a problem! ), and the Blackberry Pearl would do just fine. So I wouldn’t be the coolest kid on the cubicle block…so I wouldn’t be able to personally extol the virtues of the new touch screen interface…so I wouldn’t be able to becoming a walking, talking Apple salesperson in my spare time, despite all the constant complaints about the lethargic AT&T Edge network (which never seemed to slow me down much with the more text-oriented Blackberry). But the milestone it demarcated would be clear. Because the real phenomena behind the phenomenon for me around the iPhone was not the device itself, but rather the notion that mobile IP-based multimedia computing was finally coming into its own. After years of the U.S. lagging behind the SMS craze in Europe (which launched well before most Americans knew what a text message was), or the DoCoMo iMode craze in Japan in the late 1990s and early 2000s (which was how many Japanese first experienced the Internet), I felt as though the U.S. was getting a clue and catching back up. If nothing else, the iPhone demonstrated what was becoming possible at the intersection of mobile data and voice, of mobile computing, after years of overpromising and underdelivery. That a cell phone didn’t just have to be a cell phone, but that it could evolve into a true multimedia personal information manager and portable computing and communications device, using an interface that we mere mortals could understand and learn quickly. It was the opportunity presented by the possibility of a nuclear intersection between computing, communication, collaboration, personal entertainment, and mobility. That we could use it to communicate and get directions and do work and listen to music and watch videos and find somebody’s phone number. No, for my money, the iPhone was only a starting place, the beginning of something much, much bigger to come. A mile marker on the way to a much more promising land. It was the Star Trek communication device brought down to reality here on earth. It was a great start, but it was only that. So, go ahead, use your index finger to scroll down. It works well enough. Me, I can’t wait to see where that scrolling finger might take us next. 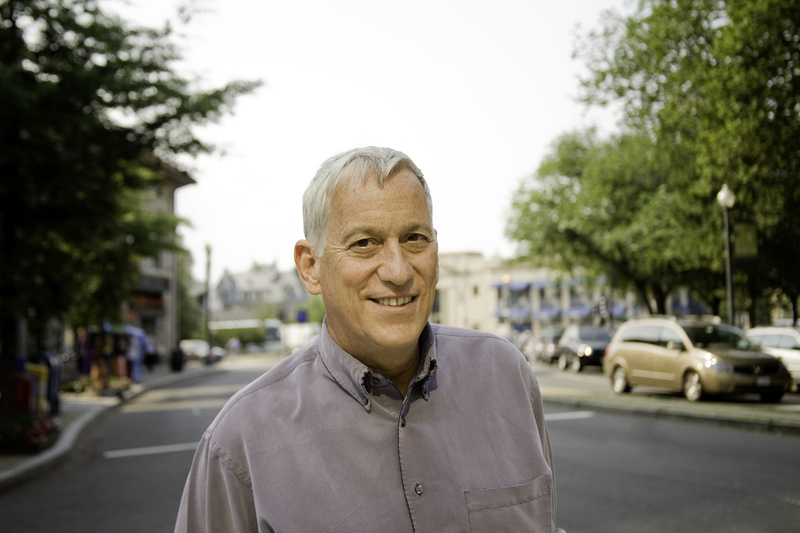 Former CNN head and noted biographer Walter Isaacson captured my attention from the moment he walked on the IBM Impact 2012 stage and announced his next book would be a history of the computer age. 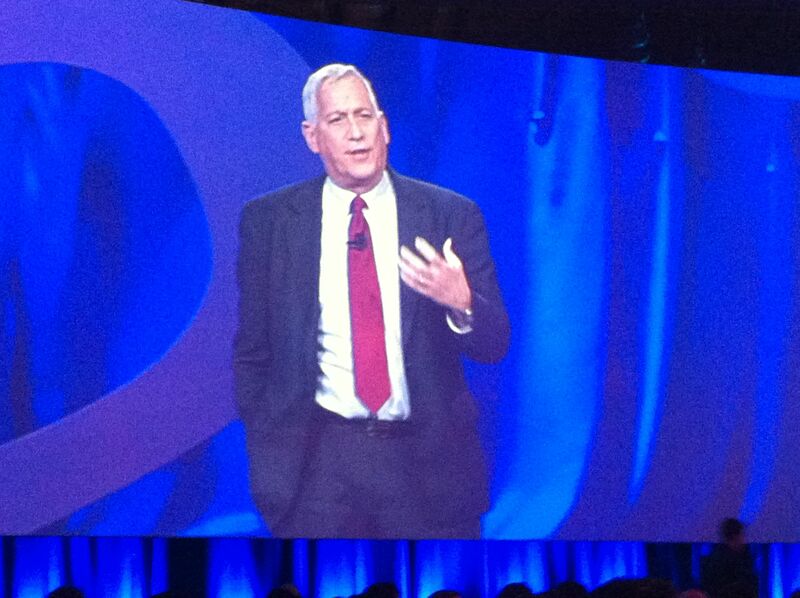 Walter Isaacson takes the stage at IBM Impact 2012’s opening general session, where he explained to the Impact audience what he believes are common characteristics shared by some of our greatest innovators. Then, Isaacson launched into an explanation of what attributes great innovators shared throughout history — Benjamin Franklin, Albert Einstein, Steve Jobs. Though Isaacson’s keynote at times seemed like an uncoordinated symphony, the words of wisdom and insight, and keen observations into the lives of his subjects, made his talk both compelling and inspirational. Isaacson paid homage in his opening comments to IBM’s 100-year history of innovation and contributions to the information age, but it was his most recent biographical subject, Steve Jobs, that he let serve as the channel behind the magic of an unwavering and driven innovator. Whatever it might be really depended on the situation and circumstance — once, it was Jobs convincing Steve Wozniak to write some game code in four days. Another time, it was convincing Corning CEO Wendell Weeks that he could manufacture his “guerrilla glass — which, at that point, had never actually been manufactured — in time to support the first iPhones. Jobs, of course, was an exemplar of the great American creation myth, but behind the mythology there were lots of life lessons learned, particularly in childhood, another universal Isaacson observed about his innovators. Jobs and Wozniak started their empire in their parents’ garage, and went on to change the world and, over the course of his life, Jobs’ changed multiple industries: personal computing, the music business, digital animation…the list goes on. Childhood curiosities, Isaacson observed, shared by Franklin and Einstein. That was another unique characteristic that they all shared: The curiousity and persistence to try and solve problems and look for new ways of thinking up until their last breaths. Smart people are generally a dime a dozen, explained Isaacson, but the innovative people, the imaginative people — they’re the ones who change the world. But they also shared an ability to quickly get to the heart of the problem, and to encourage others to find their way to simplicity. Perfect case in point, the “on/off” switch for the iPod, which was in one of the original early designs, but which Jobs pointed out was unnecessary when he reviewed a prototype with his designers. Isaacson shared another revealing anecdote, this time about Benjamin Franklin’s participation in the drafting of the Declaration of Independence and, later, the collaboration on the drafting of the U.S. Constitution. Yet years later, benefiting both from experience and having developed a sense of humility along the way, Franklin was more accommodating and facilitated a critical discussion centering on the inequities of power between the big states and little states in the nascent U.S. Union. Yet despite all of their incredible accomplishments and breakthrough innovations, each of these giant men were, in the end, just that, men, people, humans — filled with the same kind of self-doubts and wonderment at the universe as all the rest of us. He was. And he did. Einstein was. And he did. Franklin was, and he did. Each in their own unique way, but with underneath each a connecting thread of a drive towards perfection, an insatiable amount of unsated curiosity, and always looking for a way forward. Isaacson closed his talk with a beautiful and reminiscent story of Jobs, who knew he was nearing his last days on earth. He asked Jobs, with all his Zen Buddhism training, what he felt spiritually, and did he feel there was something larger in this world than the moments we spend on this spinning globe? Jobs explained that he liked to think so, that our spirits live on, and all that accumulated spiritual wisdom somehow benefits us moving forward. But then, after a pause, he explained that at other times, he felt that death is just like one of those on-off switches. Like the ones he didn’t want included on the iPod. BLOGGER’S NOTE: I had occasion to interview Walter Isaacson on the key themes behind his keynote just after he was finished speaking. Among other things, I questioned him about his early work in digital media at Time’s Pathfinder group in 1994-1995, the impact of the Internet on the global economy, his work with the Voice of America and Radio Free Europe on the Broadcasting Board of Governors, and his perspective on the renaissance New Orleans is currently enjoying. Stay tuned to the Turbo blog for more on this far-ranging and compelling Q&A. I had about seven and a half minutes to interview Steve "Woz" Wozniak, co-founder of Apple, here during the IBM Pulse 2012 event. It just so happened it was the very same day, March 7, 2012, that Apple was introducing the iPad HD out in California. Steve indicated he may or may not wait in line all night this time around when the units go on sale next week! There’s a lot of cool things about my job. But today had to have been one of the cooler opportunities I’ve had, and that was to sit down for a few minutes and chat with Apple co-founder Steve Wozniak. 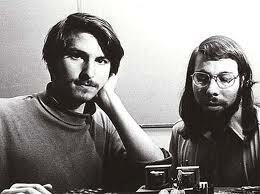 So many of us of my generation, and those that came after, owe a debt of gratitude to Steve and Steve and the revolution they helped create in computing. What they unleashed upon the world was nothing short of amazing, and it’s easy to take the technologies they and their company created and let it get lost in the fog of history. But I still remember the first Apple II I ever saw, on the campus of my home university. And I can still remember the first time I used an Apple Computer (a Macintosh SE) in 1987 for doing productive work. It was a thing of beauty. And yet here we are, 25 years later, and I’m writing this blog post introduction on probably my favorite computing device of all time, an 11″ MacBook Air. That’s over a quarter century of innovation! So, after a brilliant keynote discussion between IBM’s Grady Booch and Steve Wozniak on the main stage here at Pulse 2012, I decided I had to take my allotted seven minutes before Woz fled for the airport, and really make them count with the questions I wanted to hear the answers to most. Nothing like the clock of a gun to your head to make the seconds count. Turbo: What in the world are you doing at an IBM event the very same day that Apple is introducing the iPad HD? Woz: Everyday of my life is full of conflicts. It’s the problem with being popular, and they always want me to come and speak at all these different places. If you saw my calendar, you would die. Turbo: I can only imagine. Woz: I don’t know how I keep up with it. Turbo: So I’m curious when you began this adventure long ago starting Apple, you and Steve, if you had any inkling as to the potential change you were about to unleash on the world. Woz: We were just gonna try and start a little company just like anybody might, and we didn’t even think we’d make a profit. But we justified it as having a company having two best friends who had done so many things together. And then we thought well maybe we’ll have a company with this Apple II product, and we’ll make a million dollars or something. Well, our investor came in and said this is going to be one of those rare times when a product that’s gonna make a billion dollar company in five years. I mean, he talked those big numbers, and I just assumed, well, you learn to talk those bigger numbers. But he really knew what he was talking about. And, it’s such an important part of our life…our total life is involved in our computers. Especially our mobile devices today…could we have envisioned that? No! We weren’t even talking about how a computer could have enough memory even for a song! So, where they (computers) went in the world was much greater than we ever thought, but we wanted to have a stake in it and we did. Turbo: So my friend Noah wanted me to ask you what kind of wood did you use in the Apple I, do you remember? Woz: No, because I didn’t build the case myself. My friend Randy Binghamton..his father or his brother built the case…but I am gonna say it was mahogany. Turbo: Mahogany, okay. So flashing forward a bit, what are your thoughts on all these consumer-centric devices making their way into the enterprise? I use my iPad now inside IBM, for example, so Apple’s “disruption” seems to continue on and on. Woz: Apple is…the technology is there for everyone to do it. But Apple sort of sets the direction so strongly with so many faithful followers because of one good product after another good product after another, that when Apple takes a direction, all of a sudden, all the other companies in the world are gonna go in that mode. And that lets a lot of things happen in our life that wouldn’t if all the companies were struggling to find a formula that would be popular enough. So Apple’s more of a standard setter. Moving to mobile technology coming into the workplace, it’s sooo much a part of our life. It’s like you get used to a certain kind of clothes, you kinda got wear those kinda clothes to work. It’s almost that ingrained. Turbo: In Helene Armitage’s keynote this morning, that was one of the things she mentioned, that consumer devices are driving the way data centers are going to be. Woz: Look at personal computers. All of a sudden, when the spreadsheet came out, you went into all these companies that had big huge mainframes and it took them forever to write programs and put them in punchcards into a window, and printouts would come back a day later, and all of a sudden someone had a little computer on their desk and could whip out answers very quickly and instantly, and it was like all of a sudden a little computer could do something a big one couldn’t: The spreadsheet. And that’s sort of what these mobile devices have got. They’ve really given us a lot of abilities that didn’t make sense in a real computer. Even in my personal life, I still have a lot of apps on my iPhone that let me do things wherever I am. They’re important apps. They could be written on a computer, but they wouldn’t make sense, because when I’m by a computer, these aren’t when I need them. So that’s why the mobile explosion has changed our lives so much, and yet they’ve changed it in ways that we just expect everything in the world to work that way. Now I finally have a computer in my pocket instead of a phone in my pocket! Turbo: Speaking of which, you’ve talked about how you’re testing out Android. I’m doing the same thing, by the way. I had an iPhone 4 for a long time, and still do. IOS versus Android: Is it going to be a horse race? Is there a stalking horse we don’t even yet know about being built by some kid in a garage out there somewhere? Woz: You can even go back and look at Macintosh versus Windows. And there wasn’t one way you could say one did something the other couldn’t do. Maybe certain pieces of software got written due to market share. One thing I’ve learned is you can’t go and say is “Oh my gosh, one platform is superior and the other is bad, and anyone that uses it isn’t very smart.” You can’t say that. They’ve both very good platforms. The guy that brought Android to Google, Andy Rubin, was a very good friend of mine. I served on his board at Danger, where they developed the Sidekick, which was like a smartphone before this era. Woz: His thinking is so Apple-like! So much…like Apple DNA and Apple products, and that kind of thinking about human approaches to things that are really trust…in other words, they aren’t in the place that Microsoft was, which was trying to avoid the step toward humanism. Turbo: You said in your keynote you want “answer engines” not “search engines.” I was wondering if you could elaborate on that. Woz: It turns out that once I had certain abilities on my phone..of course, you’ve always got Google on your phone. You can Google it…you can even speak to it…but I want to just speak in a question and get answers. All day long, my wife and I…like, I think most educated people, that’s how they run their families….An idea comes up…what color is such and such…how high is Mount Everest…You used to look it up in an encyclopedia…now you look it up online with a search, that gets you a link to a site, that tells you the answer. But I have so many questions that I just want the answer. “What are the five largest lakes in California?” I don’t want links to articles about lakes in California that don’t even have a list. I want my answer! So this is where something like Siri represents answer engines, and to some extent when you use Wolfram Alpha, and Google is more like search engines. So it’s almost like Apple is superior over Google. Except look at Google’s search engine. If I type in “What is Apple” in Spanish, it comes back with a whole bunch of links, but at the top, it gives you the answer: “Manzana” in Spanish. So, actually, Google is partly an answer engine. Turbo: Okay, one last question, and this is kind of a bittersweet one. You said in the keynote you miss Steve, and I think a lot of us miss him, even those of us who didn’t know him personally but miss him through his communications. I was just wondering what do you miss most about him, and also, how much do you think the world lost by having had him be taken so soon? Woz: I very much worry about the future of the great products that Steve was in control of and caused to happen. That if we stopped to innovate as much, that would be a bad thing in life. But I have personal things that I miss…just car rides that we took driving him up to college and things like that…and talks we did…and little pranks that we’d work on night after night…and little extreme things and almost being afraid we were going to get caught by the cops for things…those kind of personal stories…you know you’re going to lose every friend you have, too….everyone’s going to die. Blogger’s Note: A very special thank you to Chris Drury and Mark Felix with the Drury Entertainment Group team. They make the magic happen at IBM events, and they always make the magic appear to make these kinds of interviews possible, even under the most challenging and pressing of circumstances. Thank you, as always. One of our San Jose State University interns for the day asked the most basic of questions, but it elicited the most elaborate of responses: What do you like most about being an entrepreneur? 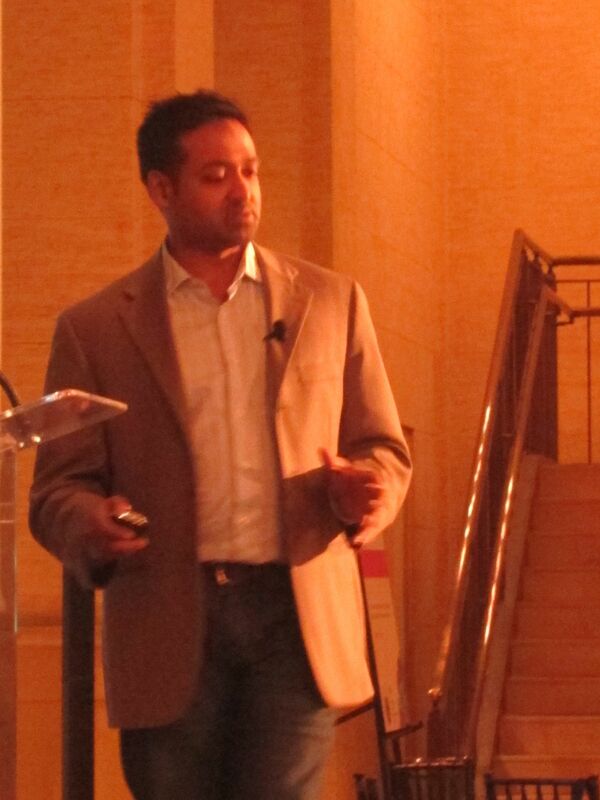 Raj Aggarwal, CEO of Localytics, one of the nine IBM SmartCamp Global Finalists, learned a few lessons from Apple co-founder Steve Jobs, whom Aggarwal once consulted with on the iPhone strategy. Aggarwal's firm provides what the company describes as the "most powerful mobile application analytics platform." Not unlike the current Republican presidential candidate, Mitt Romney, Aggarwal had worked at Bain Consulting and had, in fact, spent some time counseling Steve Jobs and Apple on their iPhone strategy back in 2005, well before the iPhone launched. Aggarwal has brought those lessons forward into Localytics, a tool that offers most powerful application analytics platform for mobile app publishers. Localytics works across the iPhone, iPad, Android, BlackBerry and Windows Phone 7 platforms, making it platform agnostic and creating an instant broad market opportunity for the startup. In fact, Localytics prides itself on being the only real-time service, providing the session-level detail and data access demanded by the top mobile app publishers in the industry. The more you know about your mobile apps, he seems to suggest, the more you have the opportunity of NOT being among that 26%! I started reading Walter Isaacson’s biography of Steve Jobs the other day. No, I’m not reading it on the iPad. This one, I picked up the actual pulp edition. The weight of the book (it’s some 600+ pages) feels suited to the task of conveying Jobs’ complicated and complex and marvelous life. And after Adobe’s announcement yesterday that Adobe would no longer use Flash for the browser programs used for smartphones and tablets, you could hear Jobs laughing from his grave. Surely you remember when Jobs purposely prevented Flash from working on iPhones and iPads — I certainly couldn’t forget, as I have both devices, and the Flash gap on the iPad became obvious very quick. But there was a lot of history behind this strategy, and Jobs had a long memory. In the book, he recounts the story of asking Adobe to make a Mac version of Premiere back in 1999, and Adobe refused. Jobs was more than ever convinced he needed to build a strategy that would allow him to tie the hardware and software together, and control the entire ecosystem. The next thing you know, we had the iPod, iTunes, the iTunes store, the iPhone, the iPad…you get the picture. But Adobe’s sudden detour, in which they announced they’re instead going to embrace HTML5, could signal a new kind of platform war, one led by programming excellence rather than proprietary regimes. As more and more of the once open-standards Web starts to see the return of walled (or, at least, semi-walled) gardens, it’s refreshing to see an expanded embrace of HTML5. I believe this will drive innovation and force the mobile and web experiences to compete on usability, merit, and utility, as opposed to plug-in dominance and proprietary lock-in battles. Of course, there are significant economic benefits this move as well, as Adobe can help its clients develop once to run applications across multiple platforms, eliminating the need for costly platform adjustments and tuning, and freeing up time and energy to focus on innovation. It’s too bad Steve Jobs wasn’t around to witness this firsthand. But something tells me he would probably have approved…even if might have done so wearing a big, wide smirk on his face.